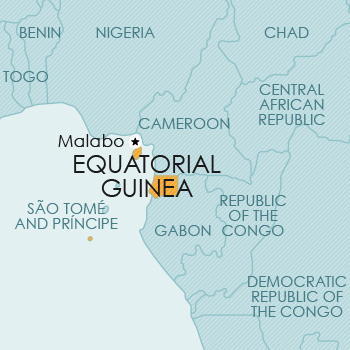 The Republic of Equatorial Guinea is located on the west coast of Central Africa. It is bordered on the north by Cameroon, on the east and south by Gabon, and on the west by the North Atlantic Ocean. Imports: Sector equipment; petroleum; food; beverages; clothing; machinery.